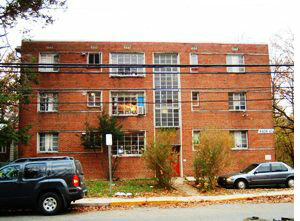 Before renovations began in November of 2009 (left), the then 71-year-old Frances Ballard had lived at the same address on Takoma Park’s Flower Ave. for more than 30 years. Now, she says, she hardly recognizes the place. The Gilbert Highlands housing community, Ballard’s long-time home, has undergone a complete makeover. The Montgomery Housing Partnership, owners of the building since 2007, received several federal, state and county incentives that made $5.34 million worth of renovations possible. Not only does the renovation improve the overall energy efficiency of the building and make the residence a great example of sustainable, green construction, but it also created 28 green collar construction jobs. The Maryland Energy Administration, through the Maryland Multifamily Energy Efficiency and Housing Affordability (MEEHA) program, was pleased to contribute $52,500 to the project. The grant “adds additional energy-saving features we may not have been able to do,” says Stephanie Roodman, Senior Project Manager and Legal Counsel for Montgomery Housing Partnership, Inc. The MEEHA grant helped cover the cost of purchasing 13 SEER HVAC gas-fired furnaces. Additional upgrades throughout the building include new Energy Star-rated appliances and lighting fixtures, individually metered in-unit HVAC systems, reflective roofs and more. The combined upgrades implemented by the project account for an electricity consumption reduction of 58 megawatt hours. After the renovation (right), Ballard was able to move back into her new-and-improved, ground-level apartment to enjoy new appliances and take control of her own heating and cooling needs. Now that she can control the temperature of her own apartment, she’s able to engage energy efficiency as a part of her daily life. 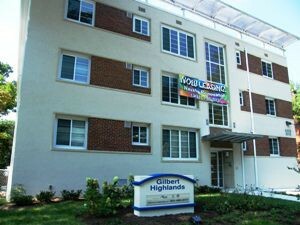 The septuagenarian and all the renters living at the Gilbert Highlands now support Maryland’s goal to reduce energy consumption by 15 percent by 2015.